Serving Customers for 90 years, We’re Ready for What’s Next! We’ve learned a few things over 90 years of serving customers and communities. Starting from a single location in March, 1926, we made our first loan for $1,000 to a customer building a home on Broad Street in Clyde, North Carolina. The bank grew organically, reaching 10 million in assets and $400,000 in capital in 1965; just thirty-nine years later. By 1971, the bank had doubled in size to $20 million in assets. Throughout this period, we remained focused on strategic growth, taking care of our customers; staying true to our core values of building personal relationships and earning trust. In 1996, we developed our first mutual partnership, later welcoming four other community banks to the partnership. In 2012 the bank converted to stock ownership, raising $212 million in capital. This strategic shift allowed us to expand our presence throughout the Southeast. We’ve added 25 new locations across East Tennessee, Charlotte and Raleigh, North Carolina, the Roanoke Valley, Virginia and Greenville, South Carolina. We’ve also welcomed over 200 new employees to the HomeTrust team and grown our assets to $2.7 billion. Listening closely to our customers, we continue to invest in technology to support additional, convenient ways for our customers to bank with us including mobile and chat, in addition to in person at one of our branches. The wisdom gleaned from 90 years teaches us to be ready for what’s next. It also shows us that while many things change, some things never will. Our values remain the same; we are passionate about building long-term personal relationships and earning trust. We are immersed in our communities, partnering with hundreds of community partners throughout our footprint. We were founded a s a community bank that offered loans so people could build homes, and our commit to affordable housing remains constant. We contribute to the health of the communities through numerous initiatives including providing financial education for children and adults alike, supporting the arts, helping to feed the hungry, volunteering in schools, protecting the environment, and find other opportunities to serve. As we celebrate 90 years, we want to thank our customers and communities for their trust in the caring and competent HomeTrust bank team to meet their financial needs. 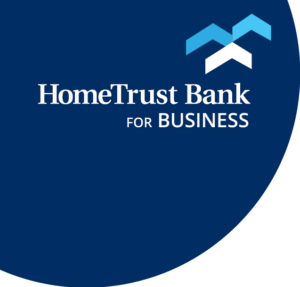 At HomeTrust bank, we are ready to help our customers with what’s next in their financial life!